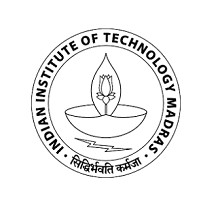 IIT Madras’ Entrepreneurship Cell organized an E-Summit from April 1 to April 3. The highlight of this summit being the Startup Expo, for which they have invited startups with unique products to display them and pitch to the judges. E-Cell of IIT-Madras invited Mr Shyam Sekar S, Founder and Chief Mentor @ Startup Xperts Business Consulting, to be the part of the mentoring team as well as on the judge panel. Shyam quoted, “There were 12 ideas that was pitched to us, and some of them very innovative. These sort of initiatives are needed to boost the entrepreneurship mindset amongst the student community. Very glad that IIT-Madras’ E-Cell have taken up this initiative; more so, it nice to see that this being their first Startup Expo this was well organized. Look forward to being a part of this in future as well”. Mr Shyam also addressed the entrepreneurs and students on the third day, and delivered a session by sharing critical pointers that can help them build a successful startup.